It is SCARI's position that human embryonic stem cell research is of great importance and should be funded publicly. Our advanced research in eugenics would give our organization a salient advantage, a leg up, in further development of humankind. The idea that support should be withheld because proponents of particular religious ideas want it withheld is abhorrent, anathema to understanding the human condition. Consulting religious authorities on an issue of this kind is about as reasonable as consulting Leonardo Da Vinci on how perform heart surgery. Note: Zygote Development is normal as cell division progresses, however, chemical imbalances occur requiring additional nutrient replenishments and massive doses of hormone therapy. Given proper balancing of development properties and environment the embryo should grow into a healthy productive citizen equipped for the exigencies and externalities of the twenty-first century; as it is, a creature that conforms to the JUST IN TIME requirements of our social / economic fabric. A germinal embryo of the kind from which stem cells are extracted has as little noetic value as a vestigial tail. And what is the proposed alternative to using these cells in research? If funding is interrupted and the research has to be discontinued, these embryos will simply be destroyed. It is to be expected that if the federal government decides to withdraw support from these research programs, financing will be found elsewhere. The stakes are so high and the potential for profit so great our research labs are favorbly positioned to benefit form expected demand pull for eugenic advancement whichever avenue is taken. Splice activation and insertion table indicates modification schedule on the swine. Human attributes inserted include: heart, ears, feet --buttox and genitalia were selected from the chimpanzee genome. All other organs and appendages were derived from swine DNA and sequenced as would a normal pig be. Of the 317 embryos inserted with this gene sequence, three embryos developed beyond zygote stage; one of which went full term to birth. This experiment was, for the most, part successful, however, there were side effects. The pig selected was of a species that did not take to having these modifications well. The Pig seemed to recognize its difference from other pigs. Pig #31-44 suffered from the chronic disorder of Large Offspring Syndrome causing maladies that our technical staff could not overcome. Until its termination, the swine appeared depressed and lackluster; it seemed to recognize that it didn't fit in. As a control for Experiment # 31-44 there was a counter experiment reversing attributes in a human embryo. In this experiment SCARI used similar techniques for genetic implantation's into human host from both primate and pig DNA. 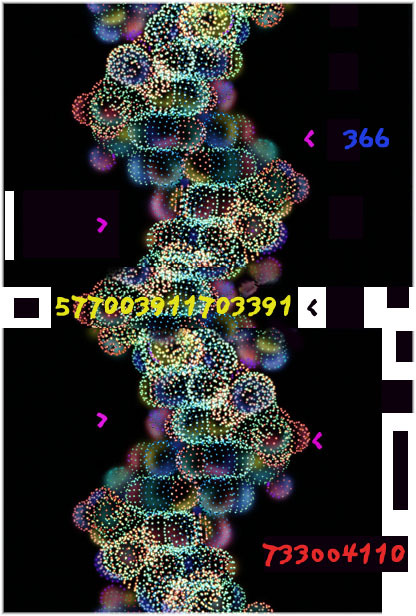 The same appendages and organs were sequenced and spliced into the embryo, the resultant blastocysts, 243 in all, resumed development with little deviation from normal cell development. Some 66 developed into late term, however all but one spontaneously aborted in the last trimester of gestation. This experiment was not as successful as hoped, there seemed to be some segments, sequenced in a manner that caused unintended consequences. This child (a boy) was born in April of 2003, named Wally, is healthy but seems to have developed with considerable differences from our original template. The child is developing normally in most ways: it has a pig-like tail but the ears, feet and buttox are developing much faster than one would expect  a probable result of Large Offspring Syndrome. Massive injections of hormones have mitigated this condition to some extent. There should be an equilibrium in body-part development within the next year or two. Photos to be posted soon. Development appears to be rooted to embryos that have been allowed to develop for 5 days or more after egg collection, i.e. 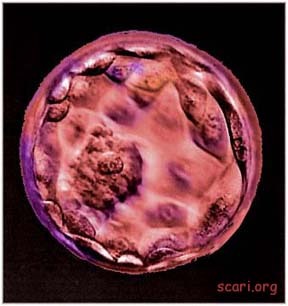 blastocyst development chemistry has influence on this pathology however for us at SCARI "life starts at conception and ends at birth," we have no interest in postnatal depression responsibilities. 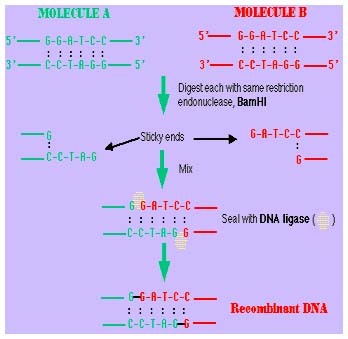 The RecA protein possesses the unique ability to pair homologous DNA molecules and to promote the subsequent exchange of DNA strands. Since RecA protein is the prototypic DNA strand exchange protein, we are interested in the biochemical mechanism of protein-mediated recognition and exchange of homologous DNA strands. The RecBCD enzyme is both a DNA helicase and a nuclease with the remarkable properties that its nuclease activity, but not its helicase activity, is attenuated by interaction with the Chi sequence, and that it will actively load RecA protein onto ssDNA. "Noetic Science is the answer: The science of physics invariably assumes that certain things exist. Things like matter, energy, space, time etc. Growing evidence suggest that there may be more of a thought process behind what we observe. If there is, than it is possible that some form of logic may be more responsible for what we observe than "physical things"